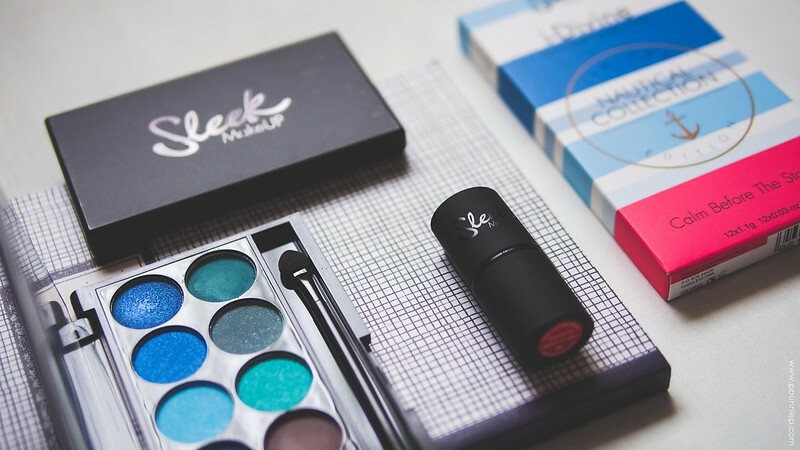 As someone with a great fondness for British beauty blogs, one brand I've been leeming for years is SLEEK Makeup. Dubbed the gem of the high street by its cult followers, I was pleasantly surprised to find out that their online website ships internationally when I was sent a press parcel bearing the Royal Mail stamp. 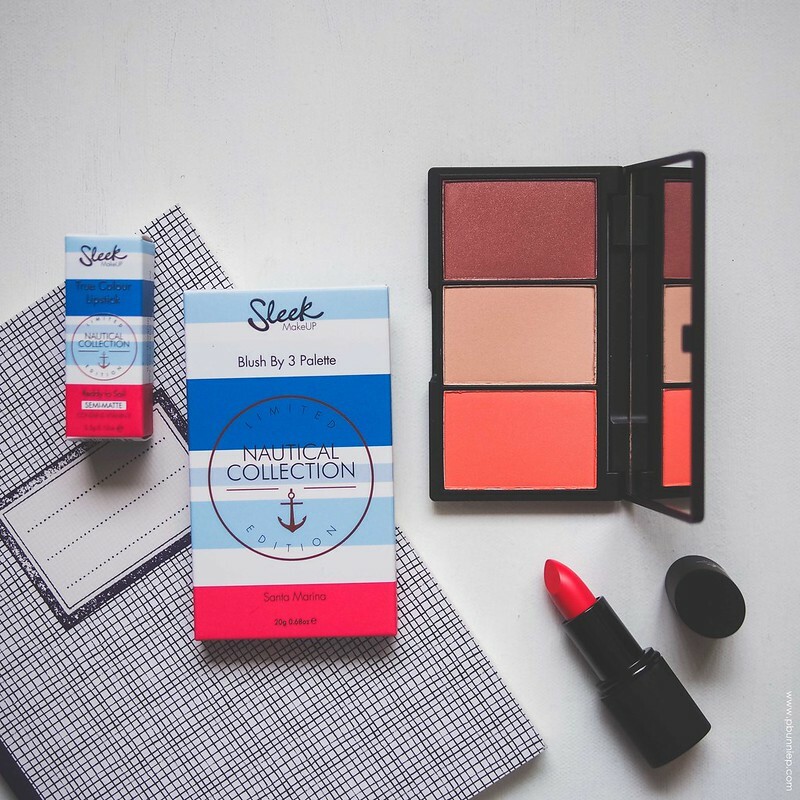 Though I received this in the fall, I thought it'd still be worthwhile to take you through their LE Nautical Collection* which is still up online and (for all my UK readers) is still available in select Boots and Superdrug locations. The collection focuses on vibrant tropical hues grounded by a few earthy neutrals and popped with shades of coral. This 3 piece collection contains ample options for a few variations of looks but is definitely a win with colour lovers. 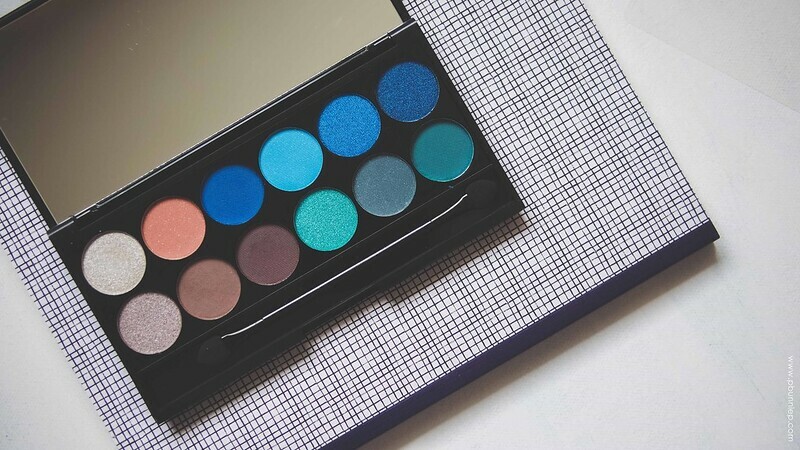 This eyeshadow palette contains 12 colours in a combination of metallic, matte and subdued shimmer finishes. Each pan is 2cm in diameter which is slightly larger than a nickle and the case lifts up to reveal a much needed full sized mirror inside. All the shades were silky to the touch and I was impressed by their true to pan colour payoff. I was especially by the few shades with a fine shimmer shot through a satin base (Voyage, Caesium, Navy Shower) as the shimmer translated very well onto the skin with out brushing off. While I didn't have an opportunity to test their wear in the summer heat, the shadows did last a good 5 hours solo. I noticed some slight fading later in the day but no major creasing issues at all. INGREDIENTS: Mica, Talc, Paraffinum Liquidum, Magnesium Stearate, Ethylhexyl Palmitate, Dimethicone, Methylparaben, Propylparaben MAY CONTAIN +/-; Calcium Sodium Borosilicate, Titanium Dioxide (CI77891), Red Iron Oxide(CI77491), Yellow Iron Oxide (CI77492), Black Iron Oxide (CI77499), D&C Red NO.7 Lake (CI15850), FD&C Blue NO.1 Lake (CI42090), Ferric Ferrocyanide (CI77510), Ultramarine (CI77007). Let me start by saying that this is 20 grams of blush. TWENTY. There are 3 shades included which works out to make this 3 full sized blushers (of most brands) in one kit. 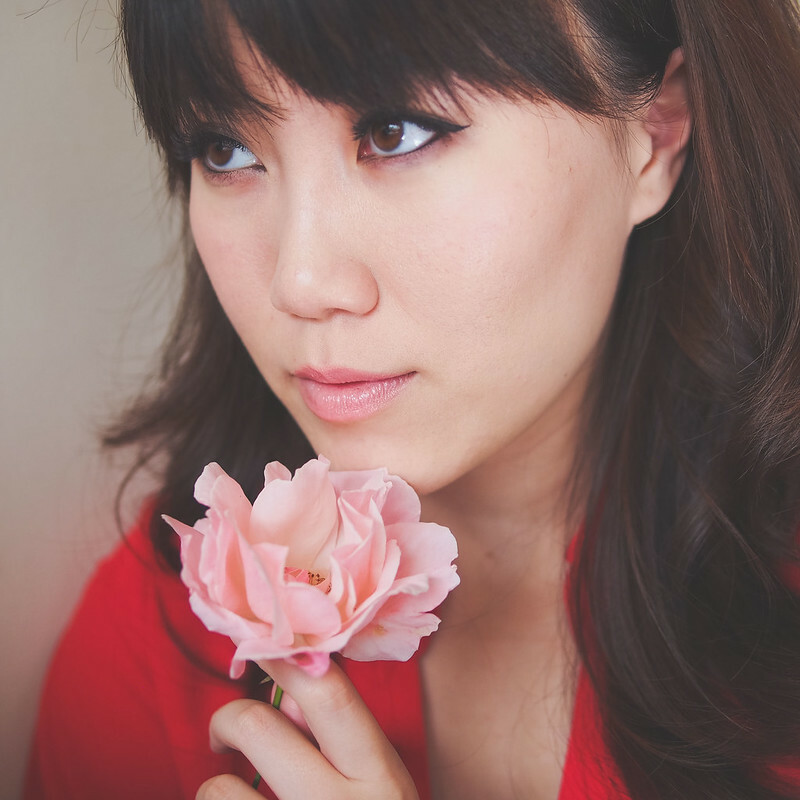 On my skin tone I found the soft peach and orange coral to be most wearable while the wine shade is more suitable for darker complexions (or mixed lightly with the other shades for depth). The texture of the blush has the same silky smoothness and pigmentation is excellent. I'd go as far as to say this applies very comparable to the NARS powder blushers which I've praised for it's powderless invisible look on the skin. All colour, minimal chalkiness. Go light handed with this palette, this is some serious blush. INGREDIENTS: Mica, Talc, Magnesium Stearate, Dimethicone, Caprylic / Capric Triglyceride, Ethylhexyl Palmitate, Phenoxyethanol / Ethylhexylglycerin, Ethylhexyl Methoxycinnamate, Butyl Methoxydibenzoylmethane, Diethylhexyl Syringylidenemalonate / Caprylic / Capric Triglyceride MAY CONTAIN +/-; CI 77019 ( Mica )/ CI 77891 ( Titanium Dioxide ), CI 77492 ( Iron Oxide Yellow ), CI 19140:1 ( FD&C Yellow 5 Al. Lake ), CI 15850:2 ( D&C Red 6 Ba. Lake ), CI 77499 ( Iron Oxide Black ), CI 77491 ( Iron Oxide Red ). Packaged in the tiniest twist up tube, this full sized lipstick is perfect for stashing in your purse. The product itself is not fragranced but does have a slight scent (of the ingredients) though nothing that lingers. Colour payoff is again great, with a silicone smooth application and the thinner consistency means it's less likely to slide around. 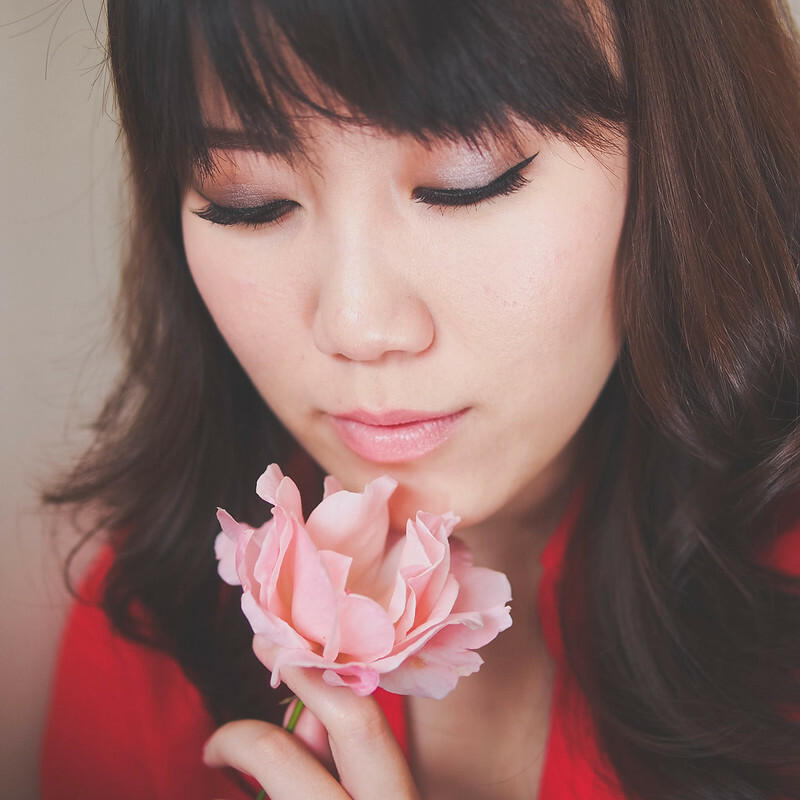 It does accentuate dry lips slightly but doesn't enhance lip lines. However it wasn't moisturizing enough for long term wear. Note: Due to USA FDA regulations only select SLEEK products can be shipped to the USA. If you live in another country, try checking out in another currency for the full selection of products including this collection. The final look I put together is a softer variation of this collection. 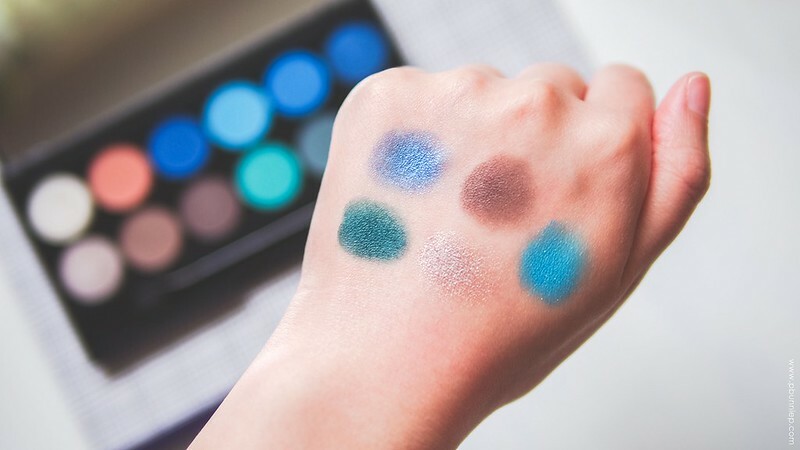 I worked with a combination of Voyage, Ahoy!, Adrift and Starboard for the eyes and a subtle sweep of Pheonix Sand over the cheeks to keep the makeup neutral for my bright top. 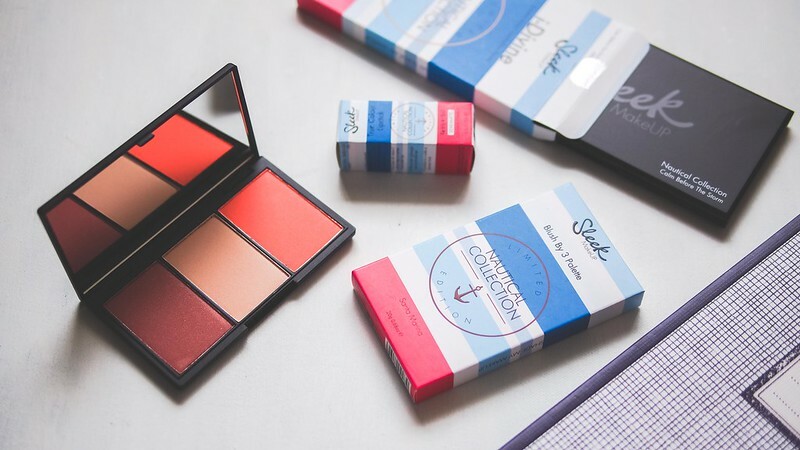 I'm looking forward to revisiting these products for a more intense variation on the Nautical Collection. 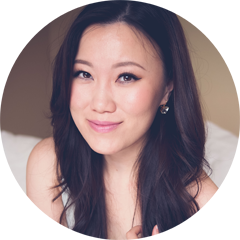 I've worn the blush solo on a few occasions and its both long lasting and absolutely gorgeous even in fall weather. Flash Reviews : These are my initial thoughts and/or first impressions on beauty samples that I have been trying out. I try to give you as much information as possible but this may not be as comprehensive as full fledged review. I hope these mini posts will give you some basic information and details on certain products you're interested in even if I haven't had the usual full experience with them yet. I will reply back in the same post! I put many hours into making my posts and photographs. 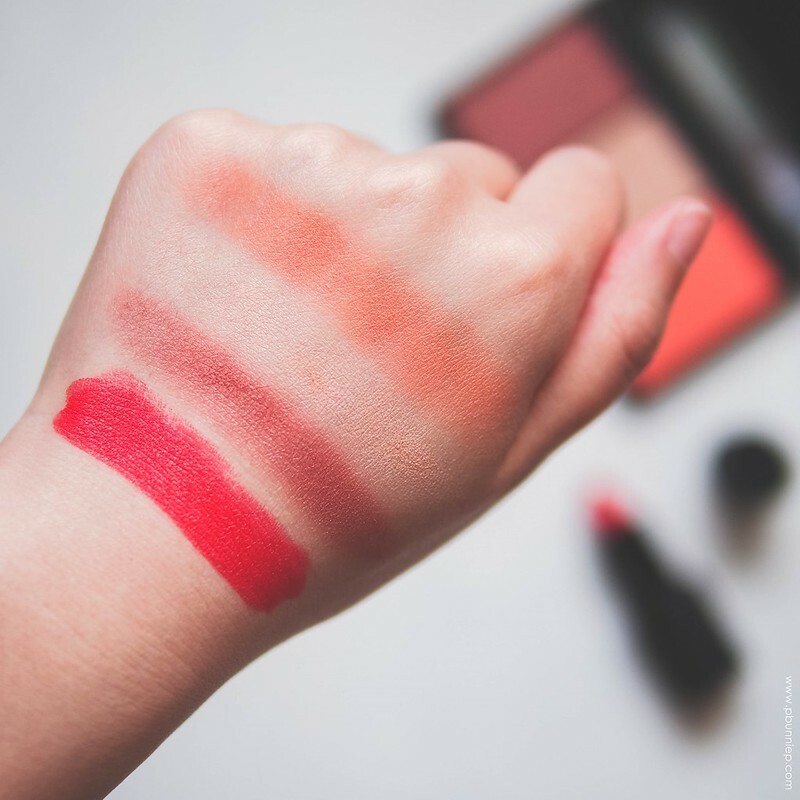 Feel free to share product images or swatches taken by me and credit appropriately if you repost on your own blog/social media. For commercial licensing, please contact me specifically. 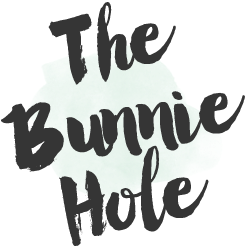 Some links are affiliate shopping links which help support my blog / Youtube channel. There is no obligation to use them but if you do, thank you!